B.Good, a farm-to-fork restaurant serving fast food in a casual atmosphere, is the first of its kind in Greater Raleigh and North Carolina. The concept behind this new restaurant is simple: Real food sourced from local farms. And by the looks of the line of customers on a Fri. evening, people have been waiting for a place just like this to open in Greater Raleigh. Steve Woodward, Greater Raleigh’s B.Good owner, and the first person to bring the Boston-based franchise down South, fell in love with the restaurant’s core concept of serving food sourced from local farmers. There are 17 B.Good locations in the Northeast, and with N.C. being a top farm-producing state, Woodward felt the time was right to open B.Good in Raleigh&apos;s North Hills. 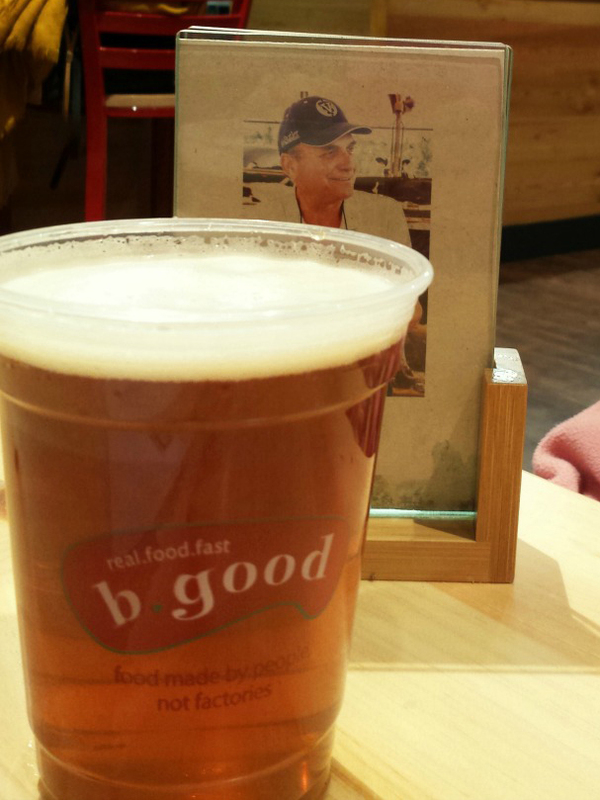 B.Good keeps its menu simple and farm-fresh. It specializes in burgers, chicken sandwiches, salads and Kale and quinoa bowls. As soon as you walk into the restaurant, a map showcases where all the food served is sourced locally. N.C. farmers who partner with B. Good are pictured on the wall. The all-natural, local, grass-fed beef comes from Harris-Robinette in Pinetops. Milkshakes are made with ice cream sourced from Maple View Farm in Hillsborough. The sweet potatoes for the delicious sweet potato fries are from Burch Farms in Faison. The farmer, whose photo also graces the wall, is the largest sweet potato producer in the state. Greater Raleigh brews are also served at B. Good. Selections can be found from Big Boss Brewing Company, White Street Brewing Company and Lonerider Brewing Company. 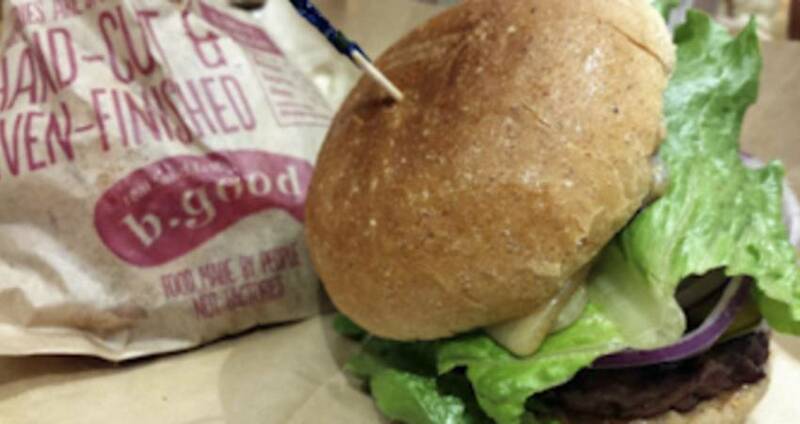 B.Good burgers are about five ounces and are priced at $6.99. Add a side of farm-fresh fries and a handcrafted natural soft drink, tea or lemonade for an extra $3.79. A kid’s meal with a side and drink is $5.99. A kid’s meal with a side and smoothie/milkshake is $7.99. B.Good also has gluten-free options for diners. I love this restaurant, and as a parent, it’s nice to know that your kids are being served the best possible foods straight from N.C. farms. B.Good serves lunch and dinner daily at Midtown Park in North Hills shopping center at 201 Park at North Hills, #100.